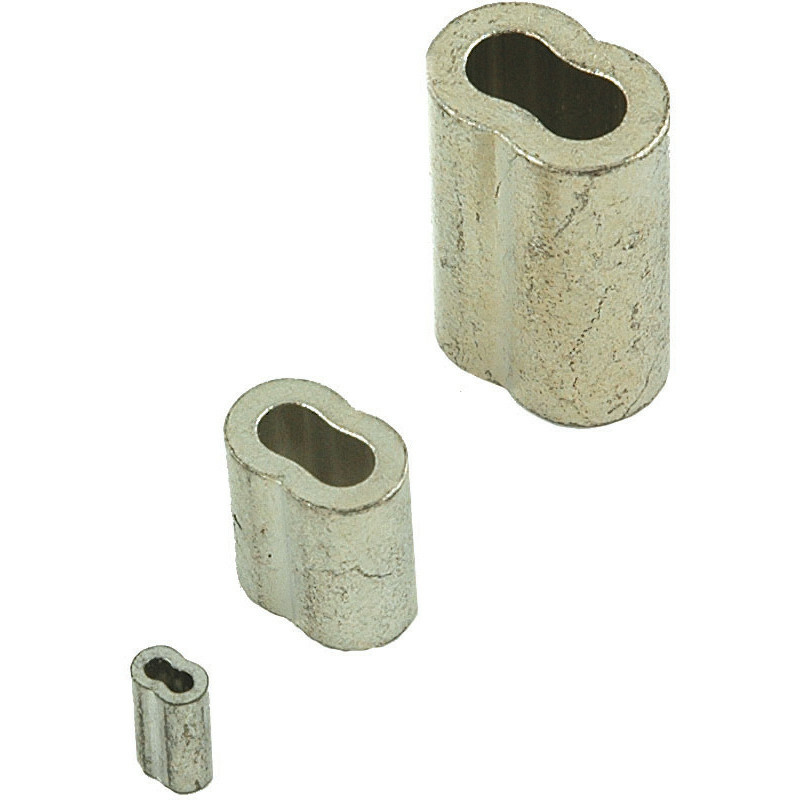 These duplex/oval ferrules (sometimes called compression sleeves), are used for making soft eye splices and hard thimble eyes on stainless steel wire rope. They can hold approximately 100% of the cable’s rated breaking strength, depending on the cable size and type used and conform to MS51844. We have determined through pull-testing that Nicopress Oval Sleeves will hold military specification grade aircraft cable in tension until it breaks, when the cable is made to military specifications for 3x7, 7x7, 7x19 and 6x19 IWRC when correctly applied with Nicopress Tools.